The winners. Team NAIRA (l-r) Yilson Ikiate, owner/captain Bincho Mansur, Jose Guanipa, and Bancho Mansur. 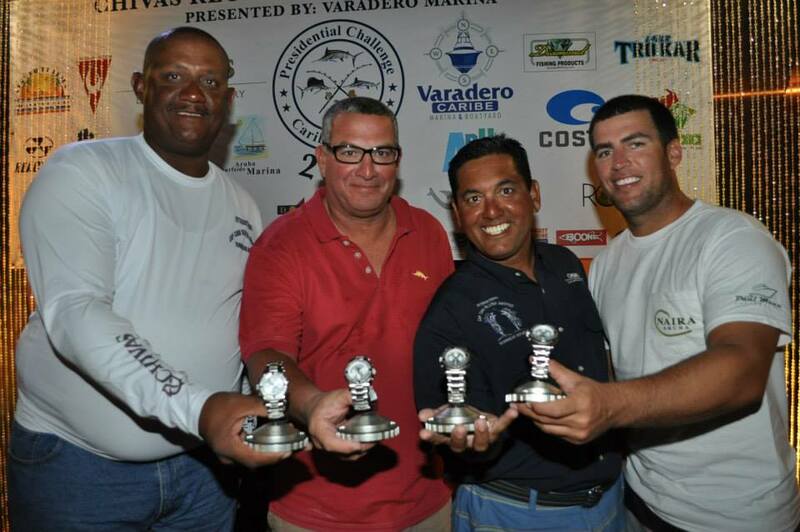 Huge congratulations to the team aboard the 57-foot Paul Mann custom boat, NAIRA, owned and captained by Ruben “Bincho” Mansur, Jr., as they walked away with first place in the Fourth Annual Chivas Regal Aruba Caribbean Cup. Bincho Mansur plus Bancho Mansur, Yilson Ikiate and Jose Guanipa had an incredible last day, with three blue marlin releases and one sailfish release to add to the two blue marlin and a sailfish caught previously, for an unbeatable 1,700 points. That’s a total of five blue marlin and two sailfish for the tournament against an incredibly strong field of 19 world-class competitors. 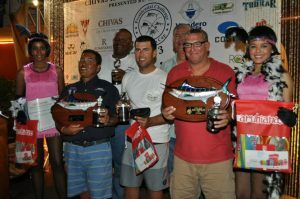 The Chivas Regal Aruba Caribbean Cup is a part of the Caribbean Presidential Challenge Conservation Series that provides financial support for billfish conservation efforts in the Caribbean and around the world. Anglers all use 30-lb. test line and non-offset circle hooks in order to even the playing field and to promote the conservation ethic. 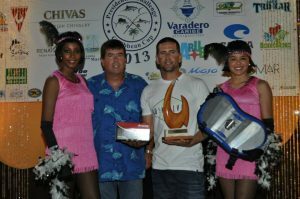 Eric Mansur, Jr., Aboard ALINA, Tops in Points in Angler Division 2013 Chivas Regal Aruba Caribbean Cup! Naira wasn’t the only winner among the Paul Mann Boats in Aruba during the 2013 Chivas Regal Aruba Caribbean Cup, as Eric Mansur, Jr. placed first in the Angler Division with his three blue marlin releases for 900 points aboard the 58-foot Paul Mann, ALINA, owned and captained by his father, Eric Mansur, Sr. Congratulations to the Paul Mann boats and all who participated in this sensational event!